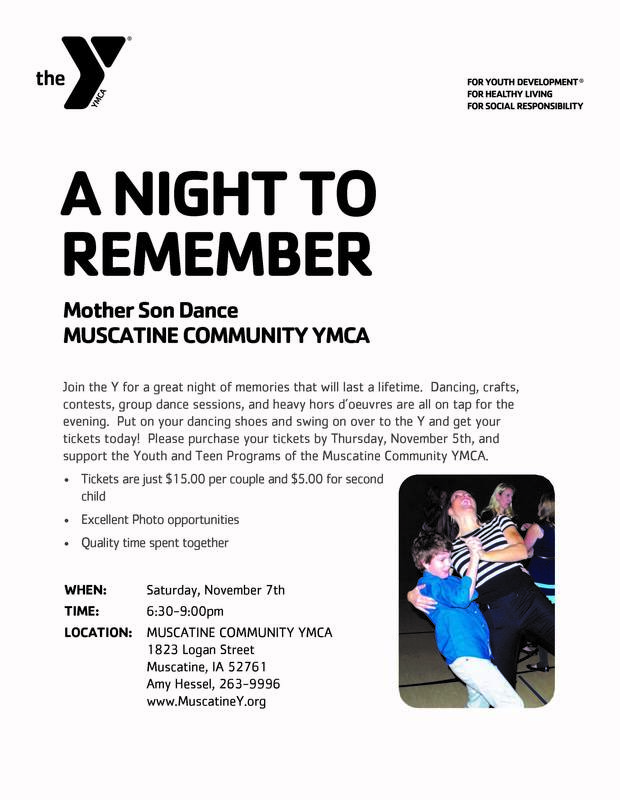 Join the Y for a great night of memories that will last a lifetime. Dancing, crafts, contests, group dance sessions, and heavy hors d’oeuvres are all on tap for the evening. 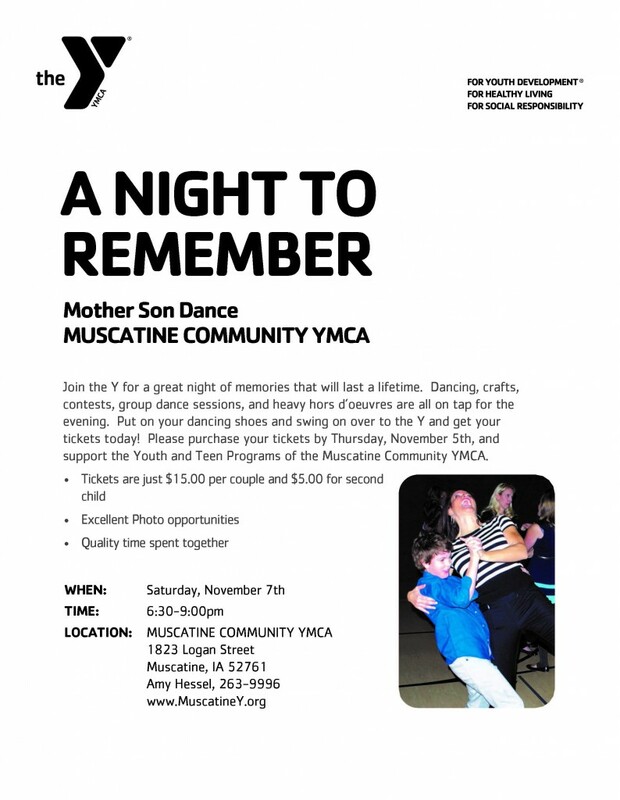 Put on your dancing shoes and swing on over to the Y and get your tickets today! Please purchase your tickets by Thursday, November 5th, and support the Youth and Teen Programs of the Muscatine Community YMCA.